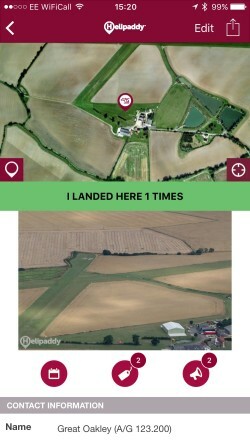 If you use the App version of Helipaddy (v3.1 onwards), then you are able to easily track landings without having to go online. If you click on a pad in the app and then click on the label to view details, you are invited to click on the I LANDED HERE button. This will record the landing in your dashboard at https://adm.helipaddy.com/account/landings/.